A trio of Americans have laid claim to the last three US Open championships, but there's always a full field of multinational talent gunning for the top prize. This year will be no different as golf pros and spectators from around the world arrive on charter flights to the US Open to watch the action unfold at Pebble Beach in California. Golfing legends will take to the greens on the stunning course located on the Monterey Peninsula. This fabled course has hosted five previous U.S. Opens, four U.S. Amateurs, and two U.S. Women's Amateur Championships. This venue offers a fabulous backdrop for witnessing some of the most talented golfers make history at the 2019 U.S. Open. By choosing Stratos for your private jet service, you can rest assured that your air travel needs will be exceeded in every way. Our flexible booking options, dedicated trip support team and ability to access a wide range of pre-screened luxury jets means you’re charter plane experience will be a memorable one. The vast majority of commercial air traffic coming to Pebble Beach, California arrives via Monterey Regional Airport (MRY). It's roughly six miles to Pebble Beach from the airport. 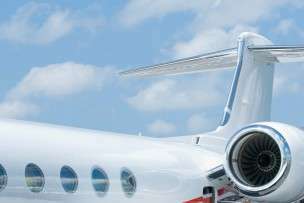 The other option for private jet travelers is Salinas Municipal Airport (SNS), and it's located approximately 30 minutes away. Accommodations: The Ledge at Pebble Beach, Pebble Beach Resorts, Casa Palmero at Pebble Beach. Do you want to watch the US Open from the galleries at Pebble Beach? Stratos Jets will arrange charter flights to the US Open that will help you arrive relaxed and ready to watch the action. Call (888) 593-9066 (toll free) or request a quote online.